- Papers prepared in MS-WORD (doc) formats may be submitted electronically to JSCSE web site. In order to submit the paper, you have to be registered in JSCSE web site. - We would recommend the designated format for JSCSE. To download the template file click here(DOC). - Manuscripts submitted to this journal will be deemed as they have not been published and are not under consideration for publication elsewhere. Application of Object-Oriented Technology to Eng. High quality submissions that advance the research and that contribute something new to the literature on Computing & Information Technology are encouraged. The special focus of the JSCSE forum is to publish path breaking applications and applied research results. The purpose of "Research Papers" is to present and discuss the latest, most profound, and most important research results in the fields of JSCSE. We welcome high quality technical papers describing original unpublished results of theoretical, empirical, conceptual or experimental research. 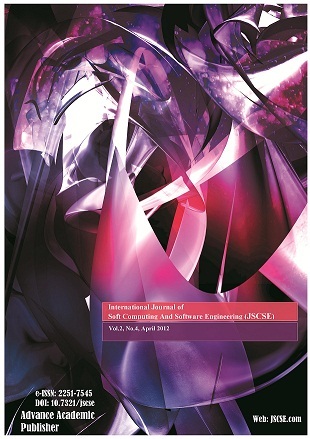 Papers should describe new contribution in the areas of JSCSE and support claims of novelty with citations to the relevant literature. The purpose of "Technical/Industrial Application Results" is to establish a meaningful forum between practitioners and researchers with useful solutions in various organizational environments, diverse systems and cultures. The Technical Experience Track includes all kinds of practical applications which covers principles, projects, missions, techniques, tools, methods, processes, and etc. We invite you to submit a paper of 5-40 pages.